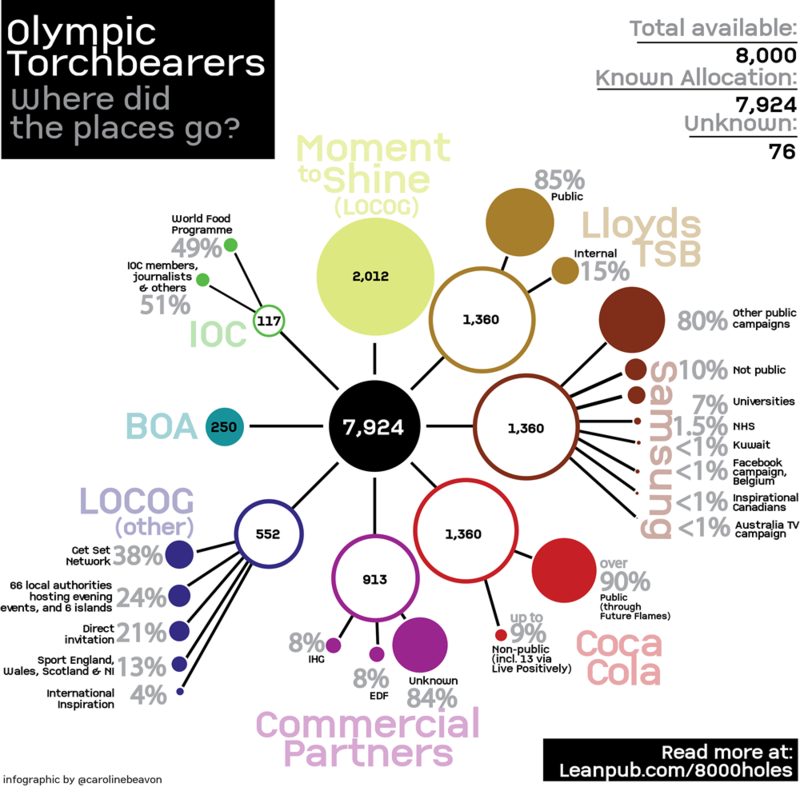 Following our post on July 6 on THES’s report on vice chancellors carrying the Olympic torch, we can provide further background on the processes used to allocate torchbearer places. Two places were for students and one for a member of staff. We took a different approach to selecting each Torchbearer. Firstly, we invited the 16 highest achieving students from the 2011 graduating class to submit a 300 word piece on why they would be a suitable person to represent the University as a Torchbearer. We chose Ainsley Bell from the ten applications. His story can be seen on the relay website. It was quite compelling and an easy decision to make. German daily newspaper Der Tagesspiegel has published a story on German executives carrying the Olympic torch after spotting our list of ‘mystery torchbearers‘ on the Guardian’s datablog. 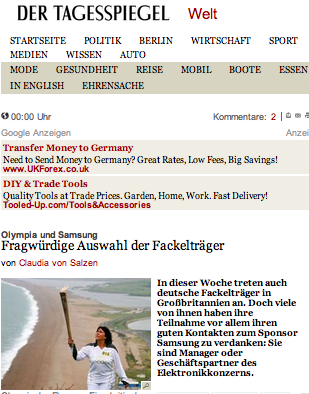 A couple of newspapers recently reported on the number of Germans carrying the torch as it makes its way through Bognor – but neither identifies why they’re carrying the torch. We can reveal that a number work for or have connections with Olympic sponsor Samsung. Dirk Schafer carried the torch in Bognor. His image is the same as that used on a Samsung worker’s LinkedIn profile. A 40-year-old Russian executive carried the Olympic torch through the Welsh resort of Towyn under the nomination story of a 61-year-old art director – despite having a different name.